When you try to play a music or video file you may get an error message saying that a “codec” is needed but not found. Well, a codec is a method of compressing a large multimedia file to save disk space and speed downloading (smaller file, less download time). There are many different codecs such as MP3, WMV, AVI, and so on. They are implemented in software packages that plug into your media player software as needed. 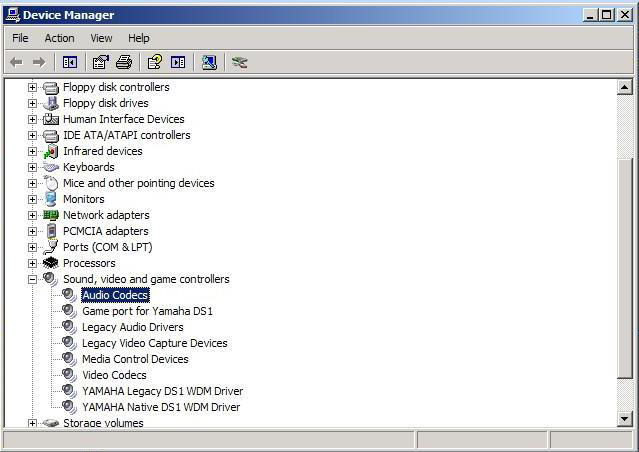 To see the codecs installed on your computer, right click on the My Computer icon, and select Properties, then Hardware, Device Manager, and finally Sound, Video, and Game Controllers. You can then select either of the Audio Codecs or Video Codecs items. For each item, the installed codecs are listed under the Properties tag. If you wish, you can also uninstall any unwanted codecs from the same location. But where can you get a codec that isn’t already installed? There are tools online, such as VideoInspector, which identify the specific codec used to compress a given multimedia file and even help you locate its plugins on the Web. 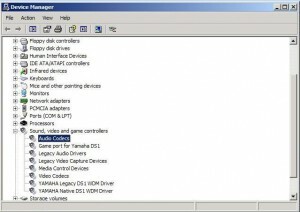 However, it is more convenient to download a whole package of codec plugins and install them at once, covering most of the popular codes. You can run into certain legal and technical issues, though. Some codec packs are of questionable legality. They may include plugins whose distribution is not authorized by their creators, or plugins may implement a patented compression algorithm without permission. Some plugins modify a codec’s methodology without permission, usually to improve its performance but still illegally since virtually all codecs are issued under licenses that forbid alterations. Some plugins are simply buggy. This can be a minor annoyance or a major system crash. It all depends on how skillful the plugin programmer is. Other codec packs that are legal and free to download and install on your PC include: XP Codec Pack, FFDShow, and Combined Community Codec Pack.